Former Scottish Saloons and MINI Challenge racer returns to Race Series with Westbourne Motorsport for 2019. Continued progress the aim for Bell after part-season debut in 2018 yielded consistent points finishes. New season set to begin at Silverstone International over the weekend of 30th-31st March, 2019. Paul Bell will return for a full-season campaign in the Michelin Clio Cup Series with Westbourne Motorsport in 2019. 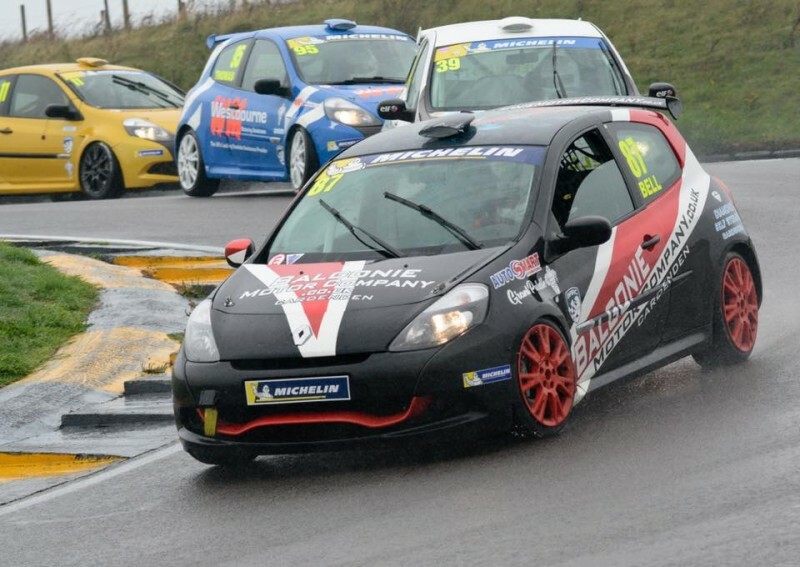 The We Restore Alloys, Balgonie Motor Company, Diamond Self Storage and Autosmart Fife-backed racer made his debut in the 2.0-litre, third-generation RS Clio 200 at Snetterton and Anglesey towards the end of 2018, banking consistent points and claiming a best result of fifth on his last outing in North Wales. Bell began his career in the Scottish Saloons category before winning the Scottish MINI Cooper Cup in 2016. He then went on to progress into the MINI Challenge JCW in 2017-18, before his switch to the Michelin Clio Cup Series. In Worthing-based outfit Westbourne, the focus now shifts to consistently running at the front as Bell looks to carry over the momentum built at the end of last season and believes a partnership with compatriot and team-mate Ronan Pearson could pay dividends. The seven-event calendar takes in some of the UK’s most challenging venues, with a first overseas trip to Zandvoort scheduled for the Summer, before concluding at Oulton Park in October. “It’s great to be back in the Michelin Clio Cup Series with Westbourne Motorsport for this year,” commented Bell. “Some sporadic appearances at the end of last year allowed me to familiarise myself with the car and the championship. The plan now is keep developing consistently and work towards podium finishes; we’ve already shown we can consistently bank solid points so that’s the next target. “Paul joined us for two meetings last season and proved himself consistently capable of fighting at the front,” added Westbourne Motorsport’s Joint Team Principal, James Colburn.